Back pain might seem like something that just happens as we age and there’s nothing we can do to avoid it. There are some things that are inevitable as we get older, but back pain shouldn’t be one of them. Getting started early and forming healthy habits while you’re young is one of the best ways to prevent body pains in the future. However, if you are one of the many sufferers of back pain, computerized treatments can help you find relief from regular back pain. For a trusted practitioner, visit Divine Spine and we can provide you with wellness treatment and adjustments that will have you running and living your life pain-free. 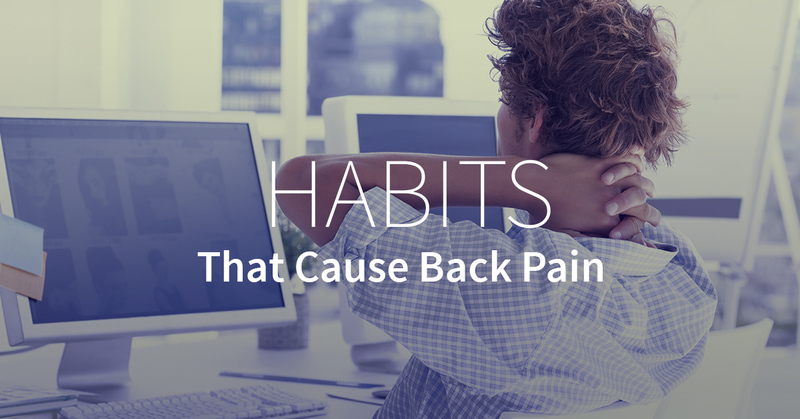 Here are some of the common habits that lead to back pain. A key part of preventing back pain is strengthening your muscles throughout your body. This includes your core muscles, as well as shoulder, neck, and lower back muscles. Poor core muscles can lead to poor posture, a major cause for back pain. An exercise that can greatly improve your core muscles is Pilates or yoga. Other types of exercise that will prevent back pain are swimming, walking, and biking, or anything that will improve your flexibility. Learn More About Our Computerized Treatments! Slouching at your desk, the couch at home, or even slouching while standing can put an extra strain on your muscles and will add the pressure on your spine. Over time, these poor posture habits can change the characteristics of your spine. To keep a better posture while standing, try to keep your knees slightly bent and put one foot forward to keep the pressure off of your lower back. While sitting, keep your back straight and try to bring your knees slightly higher than your hips. Everyone has heard or has been told at least once to pick up a heavy box using your legs, not your back. This is great advice when you are trying to prevent back pain. Keep the weight of the box close to your body and try to keep your back straight as your use the muscles in your legs to push yourself up. Lifting something heavy or too large incorrectly will put strain on your back and can cause serious harm. When carrying around extra weight on your body, your back and spine will feel the pressure. In order to prevent future back pain, weight management and regular exercise is key. Try to keep within 10 pounds of your target weight in order to keep stress off of your back muscles. If you want to lead a healthy life in general, it is a recommendation of any doctor to not take up smoking, or quit as soon as possible. The nicotine in the smoke will prevent proper blood flow through your body. When there isn’t a strong blood flow, the discs in your vertebrae won’t have the shock resistance they need, which can lead to back pain. Over time, smoking will also reduce calcium absorption, which adds a risk of osteoporosis and bone fractures. Any nutrients that feed your bones and help them remain strong will aid in preventing back pain. Many people do not receive the required amount of these vitamins in their diet. Consider taking a supplement if your diet is lacking. Ultimately, strong bones will provide the support your body needs in order to keep pain away. If you have any of these poor habits, it may be time to schedule a visit with our practitioners. An overall health and wellness outlook is a great start to preventing back pain in the future. Try to start a habit of exercising regularly and improve your diet with some extra oranges or vitamin D supplements. Posture is a habit that is formed while growing up and can be hard to kick, but being conscious of posture is a good start to preventing back pain. 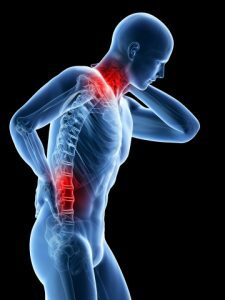 If you are experiencing back pain, contact Divine Spine for computerized treatment and adjustments.